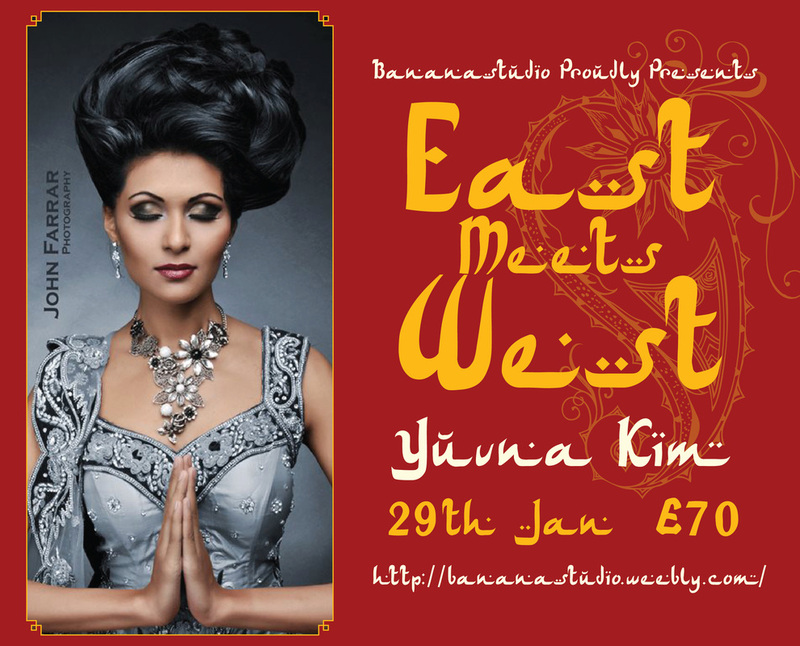 Bananastudio are proud to invite a Model Search winner Yuvna Kim from London ( http://www.yuvnakim.com )to the studio for an eclectic workshop where Eastern culture meets western culture. Yuvna Kim was born and raised in Mauritius , where she was spotted at the age of 14 by Ms Soraya Currimjee , she joined Haseena Modelling Academy. She was assigned several contacts while working with Sandra Renolds Model Agency, including modelling for High Street Designers Dorothy Perking, New Look and Top Shop. Yuvna Kim also modelled for L’Oreal Id Artist Darren Reed, for the L’Oreal ID Campaign in 2009. Yuvna Kim also made a substantial mark on the Asian Fashion Industry. She has worked for prominent designers Arinder Bullar,Anjalee Arjun Kapoor, Gul Ahmed, R.C.K.C, Anokhi, Swapnil Sindhe, Kamia Rokni,Hassan Sheheryar Yasin (HSY), Anshu Jason, celebrity designer Manish Malhotra and legendary designer Satya Paul among others. The workshop will be split into 2 half days where we will be exploring the eastern culture and heritage photographically and the second half of the workshop will be shooting Yuvna in western fashion styles. Call 0191 230 4334 to book your slot or reserve online. Balance payable on day of workshop.